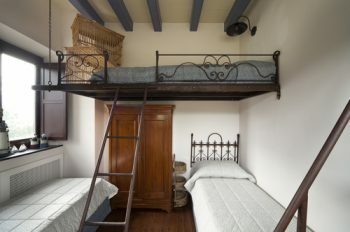 The moment I entered sixth grade I begun BEGGING my parents to buy me a loft bed. I always had a small room, so I thought a loft bed would be the perfect way to utilize the space that I DID have. Plus, the thought of studying hard at the desk underneath my super cool bed sounded appealing to me, too. As it turns out, our middle kid is just as obsessed with getting a new loft bed as I was! His birthday is coming up, and we can’t wait to surprise him with one! We’re hoping that it helps him utilize the space in his room, just like I did when I was younger. If your kiddos have small rooms, do them a favor and consider a similar sleeping arrangement! 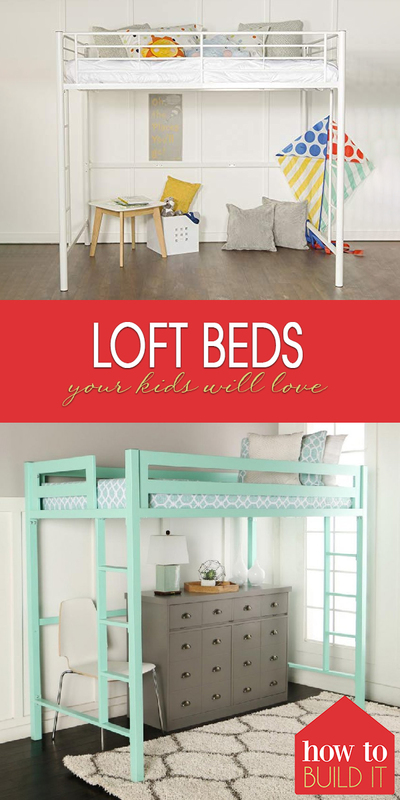 You’ll love all of the loft beds below! 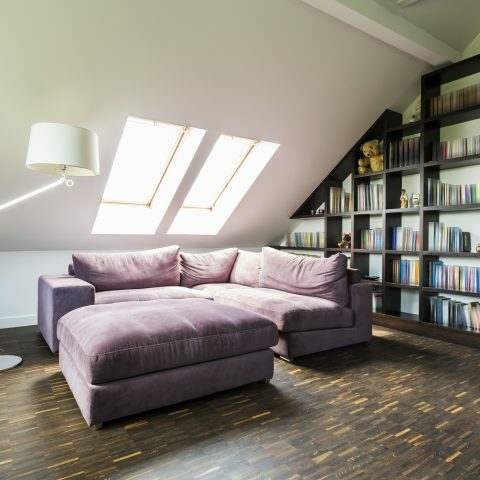 This loft bed is unique, and a great way to get the most out of an already small space. If you have many children sharing one room, I recommend a set up like this! Look, you get three twin beds where you wouldn’t have been able to put a single king! You’ll definitely need a few tools to make this happen, but it can be done easily if you follow the tutorial here. Build a sturdier railing system if you don’t like the one shown below!